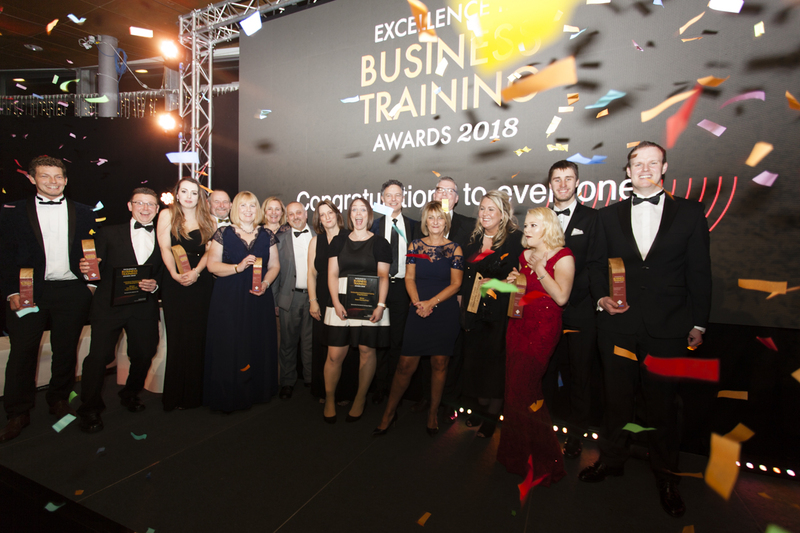 The 2019 Excellence in Business Training Awards is opening for entries from the 1st April 2019. Now in its twelfth year, the awards are hosted by CCB Training part of The Cornwall College Group and attract hundreds of applications from large and small companies from all sectors across the South West. The awards are sponsored and supported by local businesses and organisations across the region including Pirate FM, Sapience HR, Business Cornwall, The Centre of Housing and Support, Cornwall and Isles of Scilly Skills Hub, Cornwall Chamber of Commerce and Devon Chamber of Commerce. Mark Peters from Pirate FM said the station has sponsored these awards “because of our passion to broadcast the progress that is being made in the region”. “We can never lose sight of the difference that individuals make to a business, a community and themselves,” he continued. Winners from last year include Fugro Geoservices, who proudly accept the Skills Apprentices of the Year (19+years old) and the Individual Champion to Staff Development. Further winners include; Pendennis Shipyard, P Chapman Construction, Kyra Varney, Talland Bay Hotel, Parnell Engineering Advanced, Alexandra Dunn, Shepherds Chartered Tax Advisers & Accountants, Wolf Mineral, Catriona Wilson, Positive Intent Therapies at The Powder Room and the Ocean Housing Group. “Great staff are what makes a great business and well trained, motivated staff even more so. The right staff, with all their buttons pressed to ‘on’ bring that magic ingredient to a business and training and nurturing is generally the ‘on’ switch.” Commented Sue Hook from Sapience HR, one of this year’s sponsors. Over the last decade CCB has seen thousands of businesses; individuals and apprentices apply to the awards all of which deserve recognition in their own right. Those that are shortlisted and attend the awards evening all have they own personal training story to tell and all deserve to be winners. Any business in the region can enter the 2019 awards by sharing how they have used staff training to improve their profitability, staff morale, retention, performance and to gain competitive advantage. The closing date for applications is midnight Tuesday 30th April. Enter online at www.ccbtraining.co.uk/ebta or call CCB Training on 0800 731 7594 email [email protected] for an application form.